So as we wandered around Borders contemplating how none of the sections had quite the book we were looking for we came across this – a perfect metaphor! What, they sell this kind of stuff in the UK? there’s a free toy inside Jesus? 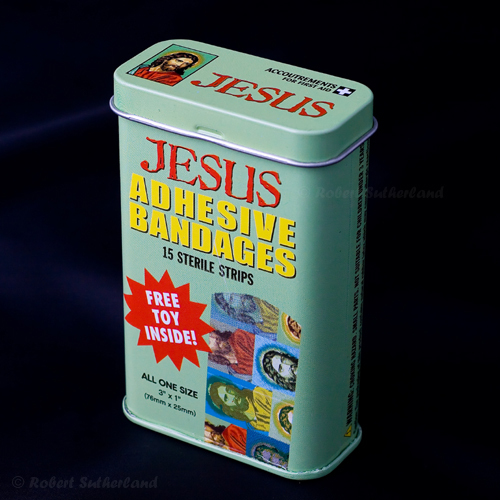 Try that purveyor of quality religious items, JC Kitsch & Co.
Oh good grief! Every time I think I’ve seen it all I’m instantly proved wrong. Eh, how much are they by the way?